I’m starting a new series called Ask The Author. My first author is none other than Ms. Summer Owens. Summer is the author of Life After Birth. In her book debut Summer shares her story of going from a teenage mother to a successful entrepreneur. I encourage you to pick up a copy of Summer’s book. There is a lesson for everyone in the book no matter your age or situation. Meet Summer…. 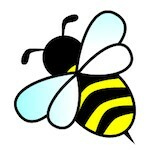 Blogging With Bee: What inspired you to write Life After Birth? Summer Owens: From the time I became a mother at 15, I was solely focused on “making it”. I wanted to be able to provide a good life for my son and for myself free of dependence on others or welfare. From that time until a few years before publishing my first book, I was simultaneously a mother, a student, and an employee often taking on extra responsibilities in each of those roles. By the time I had earned my MBA and worked at three amazing companies where I risen through the ranks and was earning a very comfortable salary and had checked “student” of the list for me, I felt like I had finally “made it.” My son was a teenager and more independent, and I recognized that others, especially men, could—and need to—teach him more than I could. That’s when I began to look outside of myself and my own situation. When I was no longer working 60 plus hours a week and also going to school while being a single mom, I decided to give my “how” some thought. At the same time, I realized how big of an issue teen pregnancy was in my community, and I wanted to offer hope and direction to teen moms to show them that they could not just survive, but that they could thrive even as teen moms. I also wanted to help other youth understand how I put myself in a dangerous situation that led to me becoming a teen mother and that it could easily happen to them too. BWB: Were you scared about what people would think? S.O: I was extremely nervous about what people would think. You know the feeling when you write a paper for a class and are nervous that you might get it back with red marks all over it? I felt that times ten at least because this was an entire book. However, much scarier than that was the fact that this book was about my life and some very, very personal aspects of my life. I felt like I was standing completely naked on a stage before the world waiting to see if they would boo me, turn their heads in disgusts, or applaud my bravery. Although I have had some challenges and some significant people not to support me sharing my story, fortunately for me, most people did the latter. BWB: How have you changed as a person since writing Life After Birth? S.O. : I wouldn’t say that Writing Life After Birth has changed me as person because I have always been extremely driven and I became extremely open before publishing the book. However, writing the book did change my life. Prior to publishing it, I enjoyed a very successful and very comfortable career in Corporate America. After telling my story, I was invited to speak all over the country. Although I was, and still am, shy, I was excited about sharing my story to encourage others to live their best lives in spite of any challenges they face. After three years of balancing my corporate job and my new speaking career (and being a single mother), I decided to devote my time fully to the new speaking and educational business, S.O. What!, as well as the nonprofit business, the S.O. What! Foundation, I had started. Even in the job I loved, nothing was more fulfilling than what I was blessed to be able to do through my own businesses. After leaving my corporate job, I began teaching marketing at my alma mater. Three years later, I was asked to create my own life skills course, and my book is the required text for the class! I never desired to me an entrepreneur and never imagined this path for my life, but now I am and enjoy all the benefits and challenges entrepreneurs experience. My salary is currently much less, but I couldn’t be any richer! BWB: What do want others to gain from reading Life After Birth? S.O. : I have truly been blessed by the many lessons people of so many various backgrounds have shared with me. From 5th grade through high school boys and girls who read the book and follow the S.O. What! Literacy, Life Skills, and Character Education curriculum to single mothers and fathers and even young professionals, the overwhelming take away is that life is full of choices. Do your best to minimize the poor choices, and no matter what choices you make and obstacles you face you can overcome them to live your best life. BWB: If you had to do it over again would you still write the book? S.O. : Because of some of the personal challenges I’ve had from sharing my story, I once often asked myself this question. Because of the many stories and thank-you’s I’ve gotten about how my book saved or changed their lives, I believe that I was SUPPOSED to write this book. Writing this book gave my life and the many challenges I’ve endured true purpose that is so much bigger than me. And I’m thankful for that. BWB: When do we get another book? S.O. : Good question. It is in the works though. I am still working on several projects around the first book including new and enhanced versions of the accompanying curriculum. Also, I want to make sure I time the release of the next book at the right time for my life and for others included in my story. But I definitely have much more to say. SO many more lessons learned and SO much more to share to hopefully encourage, educate, and inspire others and to let them know they are not alone and can get through “it”…whatever their “it” is. BWB: What’s next for you? S.O. : My main focus is increasing use of the S.O. What! curriculum in schools, youth programs, and community centers. The impact it has had on kids has been amazing, and I just want more kids and young adults across the country to get exposed to it. I plan to continue speaking at as many schools, colleges, churches, and wherever any encouraging word is needed as possible too. And because it’s just how my life goes, I honestly don’t know what is next for me. But I’m sure it includes some major challenges and some major blessings though. My life has been a roller coaster, and I stay ready for the next go round! For a copy of Life After Birth click here http://sowhat.storenvy.com/collections/109510-all-products/products/568150-autographed-copy-of-life-after-birth-a-memoir-of-survival-and-success-as-a You will not be disappointed. Thank you Summer for sharing. I can’t wait to see what the future holds for you. As a young child my mother helped me to cultivate my love of books. As a result I have developed a love for books. I read for enjoyment. A good book with a glass of wine and I’m set. Brave Enough by Cheryl Strayed was trending on my Instagram, Twitter and Snapchat so you know I had to check it out. I’m so glad I did. This little nugget of inspirational quotes filled with humor and power was worth the calories from that glass of wine. I used these two quotes to help guide me as I set my intentions for 2016. I’m brave enough to trust myself as I to continue to grow….STRONGER, BOLDER, BRAVER! I’ve EARNED it. I encourage everyone who needs some inspiration to grab a copy of Brave Enough and a glass of wine, sit back and be prepared to laugh and be inspired. What’s your favorite book of quotes? If you haven’t picked up a copy of Shonda Rhimes latest book…. Year of Yes, How to Dance It Out, Stand in the Sun and Be Your Own Person….. then what are you waiting for? We always hear people say that we should learn how to say NO and that NO is a complete sentence. So I was VERY curious as to why Shonda would start saying YES. Doesn’t that mean that I would be adding even more to my already full plate? What I learned during the reading of Year of Yes is that I too need to start saying YES!! I’m not going to give away all of the book but I will share why after reading Year of Yes, I have declared 2016 as MY YEAR OF YES!!! Shonda is saying YES to things that don’t come easy, things that move her out of her comfort zone. At first I was like what the heck does THE SHONDA RHIMES have to be scared of? What could possibly be out of her comfort zone? I mean really she created Olivia Pope….whatever it is just handle it! Guess what ?? THE SHONDA RHIMES is human like the rest of us. She is a mother, sister, daughter and friend, she works full time, and truly has the same everyday obstacles like the rest of us. As a matter of fact she & I share some of the exact same fears. I am what you call and introverted extrovert. I love the concept of being around people & going places but the actual practicing of it can be a bit overwhelming. So this year I am going to say YES to going places AND I will actually show up and be present in the moment. I’m going to go to the Bass Pro Shop on the mighty Mississippi and ride the elevator to the top. I might even go out on the observation deck. I am saying YES to difficult situations and conversations. This year I’m going to say Thank You when someone pays me a compliment and leave it at that. No more downplaying my accomplishments. I’m going to embrace my Badassery. Saying YES to things that scare you takes courage…. As Shonda says: “I can experience life or I can give up on it”. So if you see me strike the Wonder Woman pose in 2016 just know that I am saying YES to ME!! I enjoy reading books that have been suggested by someone that I admire. This month’s book was recommended by Myleik Teele. As the founder of curlBOX, Myleik is a success in her own right. Go check her out. On her website www.mytaughtme.com Myleik has a list of suggested reading. I wrote down several books that appealed to me and headed to the library. I use to buy all my books from Barnes & Noble but that was getting to be a very expensive habit. I have an e-reader but I love the feel of a book in my hand. 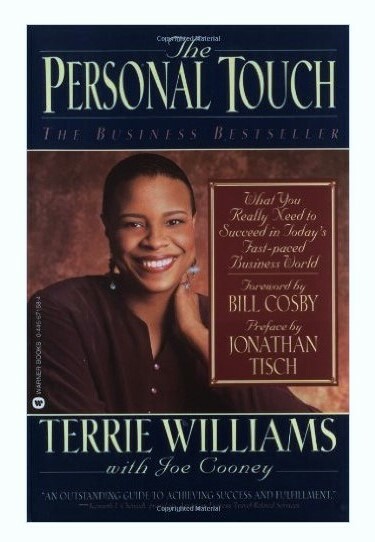 Terrie Williams left her job as a social worker to open her own public relations firm. A very successful public relations firm. It was her personal touch that help create her success. You never know who can help you. Although written before social media became what it is today The Personal Touch is still relevant, more so now than ever. This is business and life etiquette at its best. I have implemented some of the suggestions and shared with others, especially team members. We can get so caught up in email and text that we forget what the personal touch is all about. Simply things like a handwritten thank you note, sending a gift to a business associate or someone you want to be a business associate and remembering that everyone is important from the janitor to the CEO. If you are just starting out this is a MUST read so that you understand old school business etiquette. It still works. For those of us that have been around awhile it’s a reminder to not forget the personal touch and how to integrate it with social media. When was the last time you actually wrote a thank you note after an important meeting?